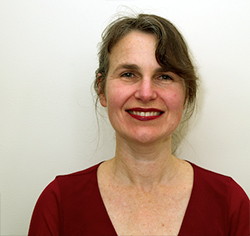 Dr Petrina Barson [MBBS, FRACGP, DRANZCOG, BA (Hons), Grad Dip MHS] graduated from the University of Melbourne in 1988. She enjoys her work as a general practitioner because it gives her the potential to know her patients over time and accompany them through the various phases of their lives. Petrina loves to make a real difference for people by compassionate listening, by skilful medicine, and by partnering with them to help them best manage their health. She enjoys the full variety of general practice, and has special interests in women’s health, nutritional medicine, and psychological medicine. Petrina is also involved with medical education, in particular teaching communication skills and compassion cultivation to medical students. She has three children, and in her spare time likes to read, write, Latin dance, jog with the dog, and relax with family and friends.